In my last blog, we took a peek at the re-emergence of McMansions, my favorite house type -- other than authentic mansions, of course. But let’s flip things around (pun intended) and investigate trending housing bubbles in the form of tiny houses! I debated whether or not to capitalize Tiny and House but decided doing so would almost exactly be sort of an oxymoron – ala jumbo shrimp. But before moving onward, take a cringe-worthy look back as Don Ho sings Tiny Bubbles, circa 1967. Oh my, oh my, oh my. Tiny houses are all the rage. 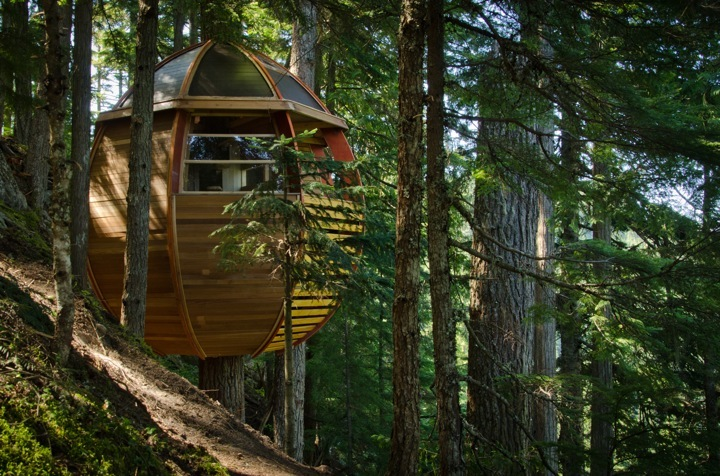 As the first tiny house is said to have been Henry David Thoreau’s in 1854, this “trend” has taken a while to develop. Today, we’ll first focus on the trendy part of the trend – the most creative, nutsy, and “huh?” tiny houses being built today. In case you have been living under a tiny rock the past few years and are unfamiliar with the tiny house movement, check out this YouTube video, this gallery posted by Country Living, or the piece our friends at Wikipedia have posted. Perhaps my first critical awareness of tiny houses happened when someone brilliantly started repurposing old freight containers as homes. My friend, who lives in New York, watched her married son move to a new home with a large lot in the panhandle of Florida. 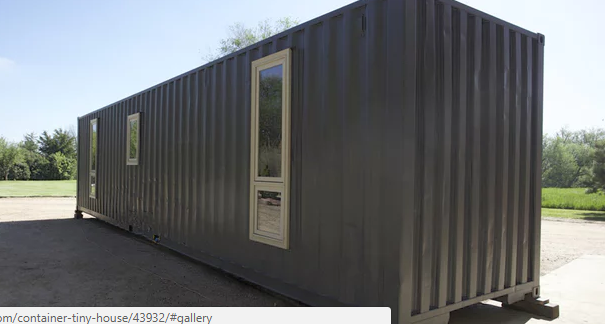 For years, she investigated buying used freight containers and converting them to tiny houses on his lot. Unfortunately, it was not as easy or inexpensive as she hoped. There were regulations about multi family conversion of a single family lot, hurricane requirements, insulation and air conditioning, etc. She is still contemplating this, even as the trendiness is tending to increase the costs. And admittedly, as we see on NewAtlas.com, some of these are not exactly “lookers”. But they sure are efficient! Our homes are ideal for a primary residence, an off-grid cabin or fishing cottage, a workshed, mancave, garage, bug-out shelter or even as a second, backyard home for grandparents or millenials. Life on your own terms. 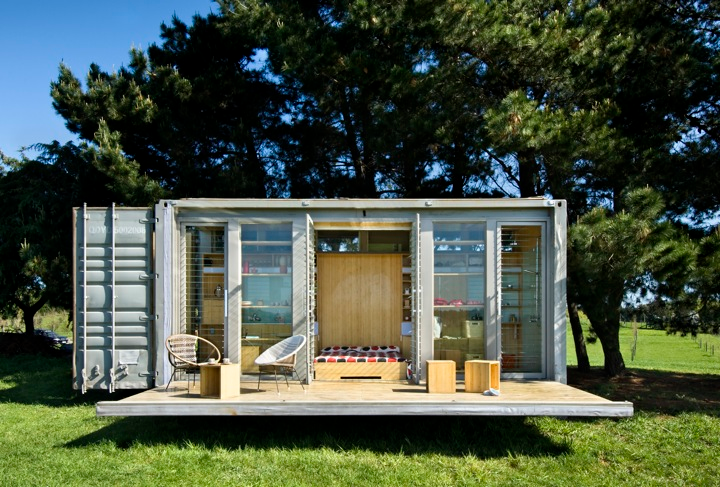 Live LARGE in a tiny home. The competition among tiny home builders is now fierce. A Google search shows 28 pages of names (with some redundancy) from which to choose to build your tiny home. But from what material? With which amenities? On what property? Let’s get creative. Denver, Colorado's Charles Kern of Art Builders Guild says that, “He converted a bus for a simple reason: he needed a place to live as a cash-strapped 20-year-old philosophy student, and as someone who was knowledgeable about buses for over a decade, it seemed like the best solution.” In addition to his own, Charles has completed six of these for others and has more on the way! 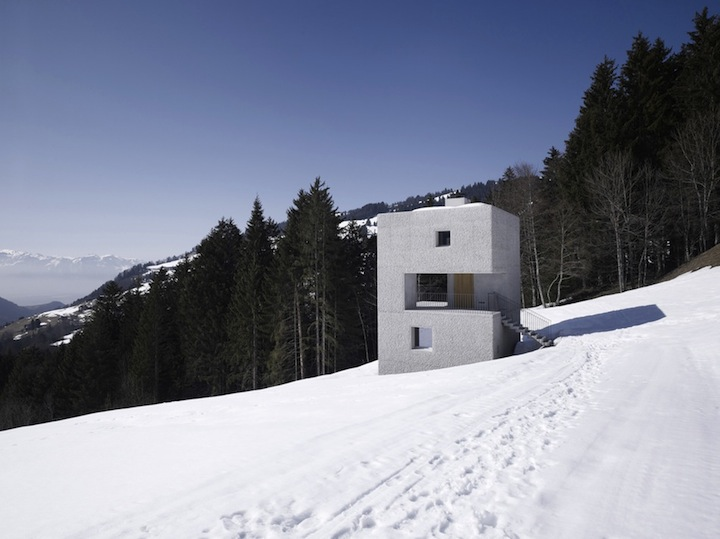 What else can we do with these tiny homes besides downsize or conduct research? I’ll answer that with another question. How many Google searches do you conduct in an average day? Now, how many of those actually make you “feel good”? 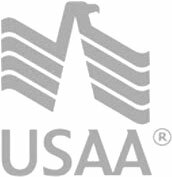 Generate a smile by searching: “Tiny Houses for Vets”. Now this is a Day Maker. The movement is growing and spreading and is wondrous. So we can agree that tiny homes are incredible, perfect for all, sustainable in many cases, and surely the solution to many of our housing problems, right? Well, no. There are other viewpoints. Let’s examine a few of the negatives associated with the tiny home trend. “You don't just plop the damn thing down. Bye, bye amenities. The washer and dryer in the tiny house will be, you guessed it, tiny. The same will undoubtedly be true of the shower and sink and TV and closets. 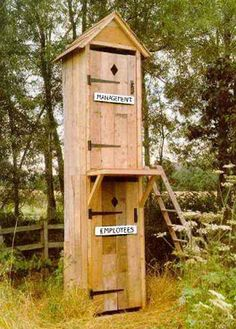 But click and read what blogger Chuck Wendig graphically says on terribleminds.com in “AN OPEN LETTER TO TINY HOUSE HUNTERS” about the compost toilet -- hysterically graphic in nature. Go to your room! 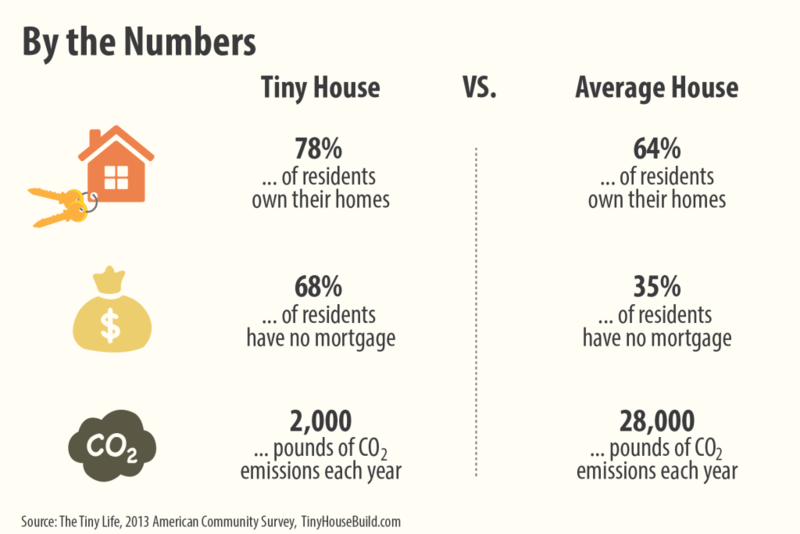 Tiny homes are small -- they are tiny. If being with kids and pets continuously sometimes makes you want to get away, personal space is most often located outside. That’s all well and good except for snow, rain, sub zero temperatures, etc. 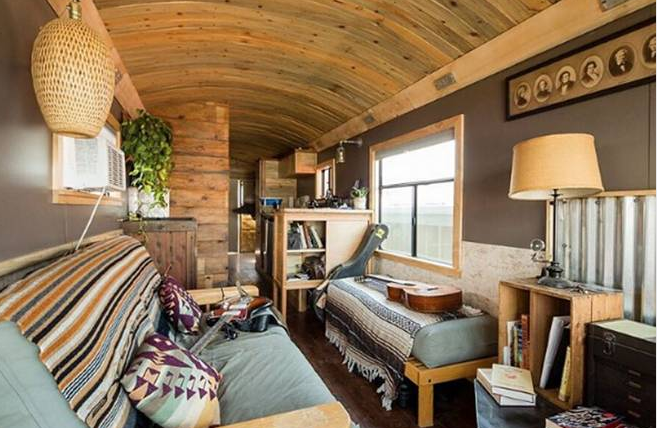 And even when togetherness is acceptable, let’s sum things up via this photo from Realtor.com’s, “Dreaming of Living in a Tiny Home? Here's the Truth From People Who've Done It”. Repair and other costs. Just like their bigger brothers, tiny homes have utilities that need connecting and appliances that will need repairing. Unfortunately, most of them are built in, under or on something else. That adds complexity and possibly expense. And the house itself may need winterizing or summer prep and that may take time and money. Then there’s heat and/or air conditioning. The maintenance cost of both is the full responsibility of the home owner. If the tiny house is mobile -- see converted school bus mention above -- think tires, engine repair, windshields, etc. Combine the upkeep cost of a truck, RV or car with that of a house. No one is saying these expenses are necessarily higher than those of a typical single family dwelling, but they do exist and some tiny home buyers fail to plan for them accordingly. In Forbes’ “5 Reasons Buying A Tiny House Is A Mistake”, there are other costs to consider also. Is buying a tiny house a great idea or a horrible mistake? As with much in life, the correct answer is, “It all depends”. Further, the more research and planning completed in advance, the better. To assist with that research, there are literally hundreds of sites that will help. There are many “Pros and Cons” of tiny houses posting, such as this one from Travel Well magazine. Or find financing ideas at tiny house build.com or www.thetinyhouse.net or www.tinyhousetalk.com or at www.tinyhousecommunity.com … okay, I’m sure you get the picture. While the houses may be tiny, the resources about them are huge. What next? 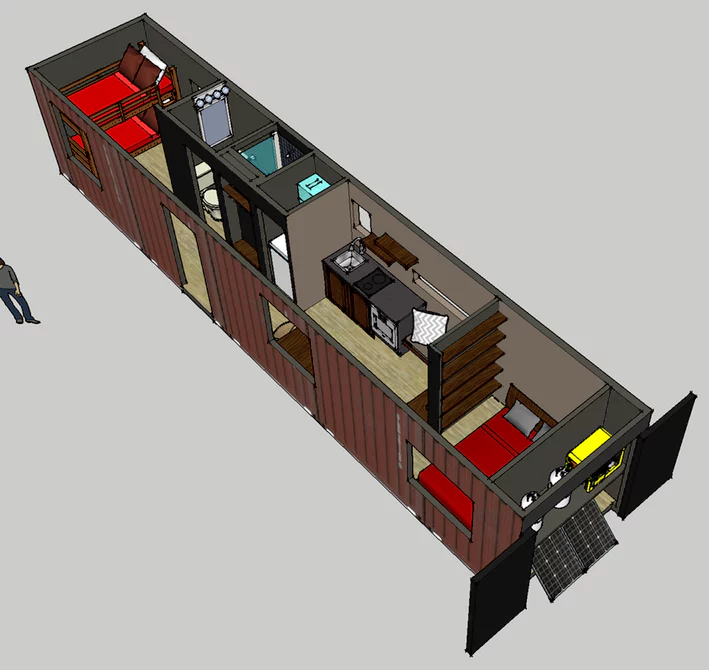 Perhaps the tiny house trend will somehow morph into office space ideas. What? Too late says DigitalDreamDoor.com? Yo mama's house is so small, when she drops a Kleenex she has wall to wall carpet. Yo mama's house is so small, I put my key in the lock and broke the back window. Yo momma house is so small, her welcome mat only says "Well!" Yo momma house so small, she order a large pizza and had to eat it outside. 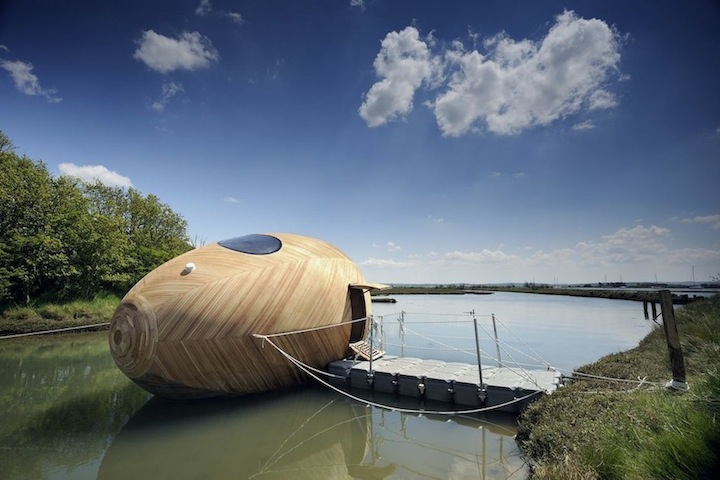 5 Perfect Tiny Houses That Beat Any Fancy Big House You’ve Ever Seen! I Want To Live In #4.